MMA Electrode with basic carbonate-fluoride flux on high purity 304L corewire. 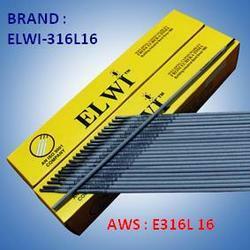 Designed to give good moisture resistance and hence freedom from weld porosity. All positional fixed pipework welding with the 2.5/3.2mm diameter electrodes. Welding of duplex stainless steel, e.g.UNS S31803. Particularly suitable for welding duplex pipes in offshore applications. Welding of duplex stainless steels.